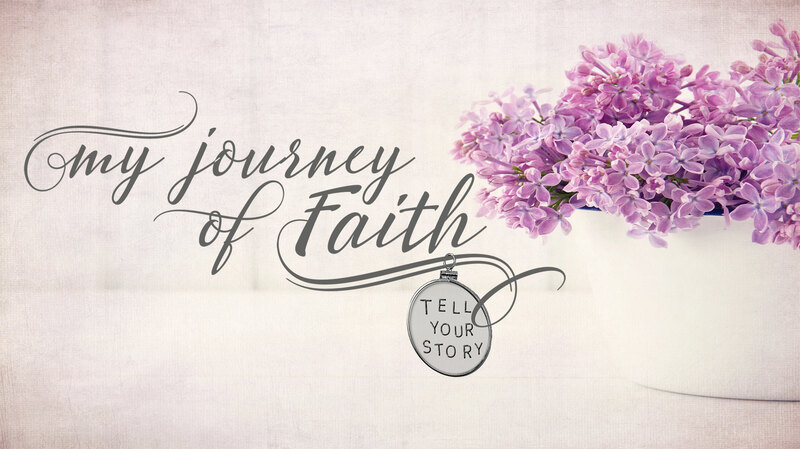 A Repost from My Journey of Faith Magazine by Brittany Glaze. Brittany today is living proof that God has the power to change the lives of people for His purpose. Thank you, Brittany for your words of hope to those who feel hopeless. On January 17, 2014, life was jolted into a warp speed spiral out of control. Things had been bad before, but not like this. After years of exhausting relationships and funds there was no where left to turn. The friend I was staying with could no longer give me a place to stay so I was homeless. I was at the end of my rope and didn’t want any part of this life here on earth anymore. With the heavily persuasive opinion of a long-time friend I admitted myself to a mental hospital. I arrived with the previous diagnosis of severe depression, anxiety, bipolar disorder, post traumatic stress disorder, and classified borderline personality disorder. With no living parents or siblings to run to the only close family I had were my children, which I no longer had in my legal custody. I had no home to retreat to. No job to find refuge within. No car to run as far away as the wheels could carry me. I was broken, lost, hurt, helpless…HOPELESS! A shell of a person, I just wanted to die! The only thing that stopped me was thinking “I don’t want to go to Hell”. I truly had hit my rock bottom! For a year leading up to this point I prayed each night,“God make me into the woman you created me to be.” I felt too ashamed to say more or ask for anything in detail. I felt that encompassed it all. I had no clue what this was going to look like or how it was going to come to pass. This prayer looking back was my first step out in faith. The spiral out of control was the beginning of the restoration God was about to do but He first had to empty my hands of anything and everything! This was a very necessary and crucial step God had to take with me. My past had been plagued with addictive, self destructive, self fulfilling behavior that would be my refuge in past failures. Those things were “my god”. The brokenness I found myself in this time was different. I saw where I was and knew where I wanted to be. I knew that God was going to be the only way to get there. I had operated in my own strength for 28 years and had failed everytime! It was time to let Him operate my life. This first step was Giving ‘my will” over… Philippians 2: 13 promises “For God is working in you, giving you the desire and the power to do what pleases him.” In that act of surrender. He was able to give me power. Power not like “GRRRR HULK SMASH” but power I didn’t feel or see. He was lining my will up with His! Over the course of the following days I left the hospital and traveled by Greyhound bus to a woman’s home in Fort Worth Texas. This Church organization has a men’s and women’s home that is free of charge and allows anyone to live there if they are willing to change. Its a bible boot camp and a ministry God had anointed and I truly believe predestined for me! During my time at the women’s home, God was able to work on my jacked up character and my sin was confronted. My days were planned and scheduled. Each morning I got up as early as 4 a.m. to prepare breakfast for 35 woman and 100 men and start preparations for lunch. I was expected stay up late, sometimes until 1 a.m., to finish up the tasks from the previous day or to prepare for the day to come. “A rubber band isn’t used until it’s stretched.” I had to stretch… to learn how to receive direction from others and not be prideful. That meant humbling myself and honestly, gaining self esteem great enough to receive criticism in a way that made me grow. I had to learn to answer to “authority” leadership in my life without rebellion and work hard and do what was expected of me. This strict discipline may seem harsh, but the home was everything I needed to change! This was my first experience with someone loving me too much to let me stay the same. It was true life on life discipleship! I stayed there for 7 months and truly became a new creation. Now, months after, my life has truly begun. My life is completely different. God is completely different to me. He has made himself real to me in ways I could have never imagined! I came back to Arkansas in August of 2014, with two trash bags of clothes and a job. God first gave me places to stay with friends. Some nights on couches some nights in spare bedrooms. Once again God was lining my will up with His. Sitting here looking around as I write this, I’m filled with joy. This is indescribable. I have everything I NEED AND EVEN WHAT I WANT! No God isn’t a genie, but He wants to bless us. He has blessed me. More than the physical things, I’m no longer bound by depression, anxiety, post traumatic stress disorder, and borderline personality disorder. My family is being restored. Most of all, I have hope. Hope knowing that God has made me into a conqueror and my past victories are all to His glory. Hope in the anticipation for what my future holds with Him. My chains are gone! The prison I was trapped in no longer holds me! My prayer for each of you reading this is that God makes himself real to you in ways that blow your mind! “Since He did not spare even his own Son but gave him up for us all, won’t He also give us everything else?” (Romans 8: 32) We serve a God that gave His son for us. Let your mind simmer on that….. Could you give up your child for him? Don’t answer that. Just try to place a value on that love?! Impossible. The hope is if God can do this for me, a completely lost, hopeless sinner, that was dirty, rebellious, and no good… HE CAN DO IT FOR ANYONE!